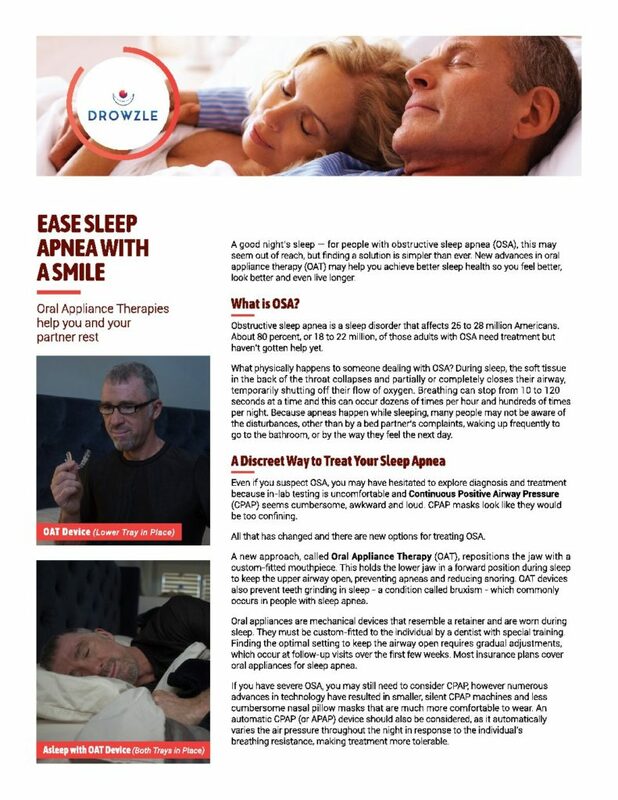 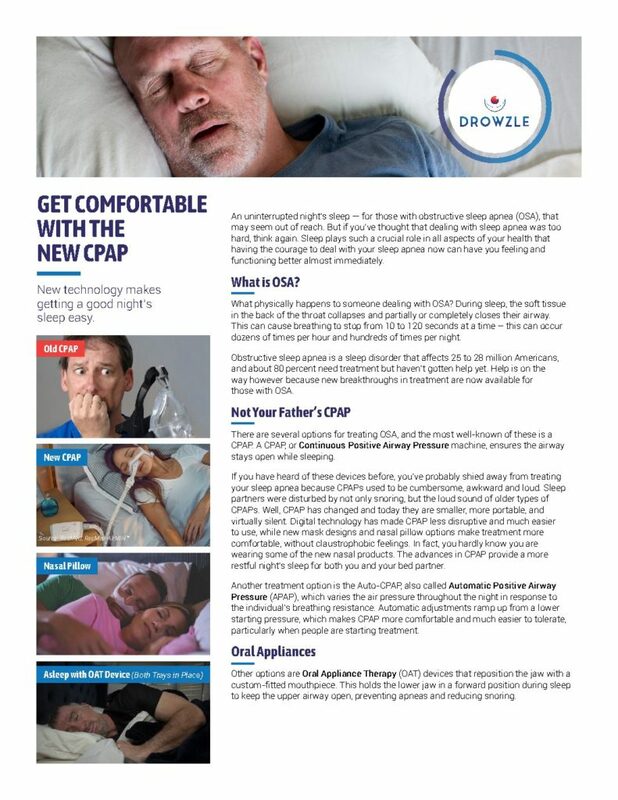 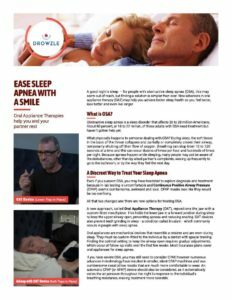 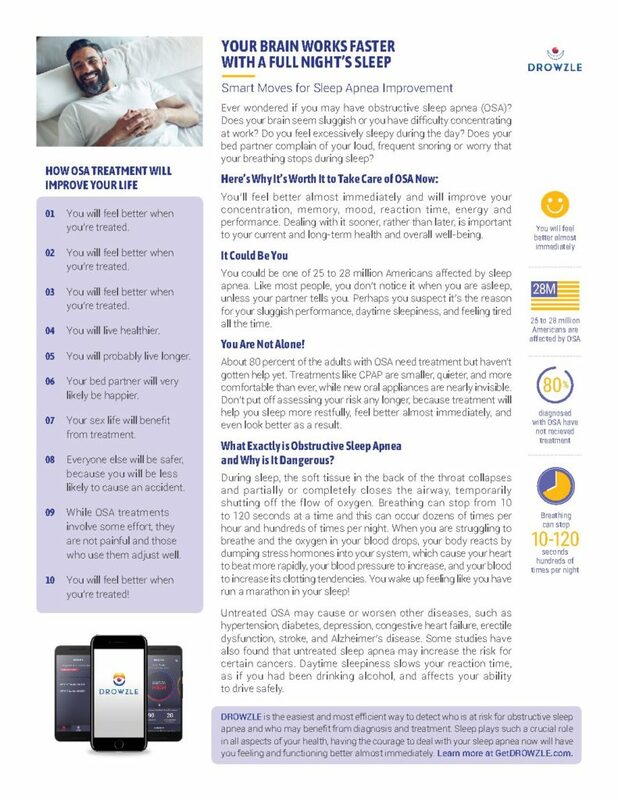 If you are a physician or healthcare provider, you can find here the educational modules, “Obstructive Sleep Apnea: Effective Intervention & Care” and copies of risk factor assessment tools, such as the STOP/BANG survey and the Epworth Sleepiness Scale. 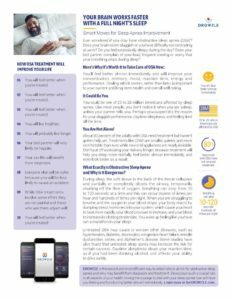 You can also find sample analytical reports from our DROWZLE™ app, so that you are familiar with the kind of information that we provide to consumers about their sleep health. 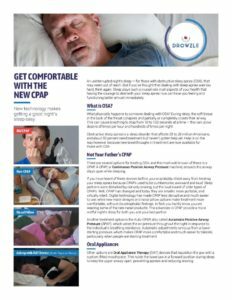 To access our eBrochure downloads and receive alerts when new brochures are available, please sign up below.